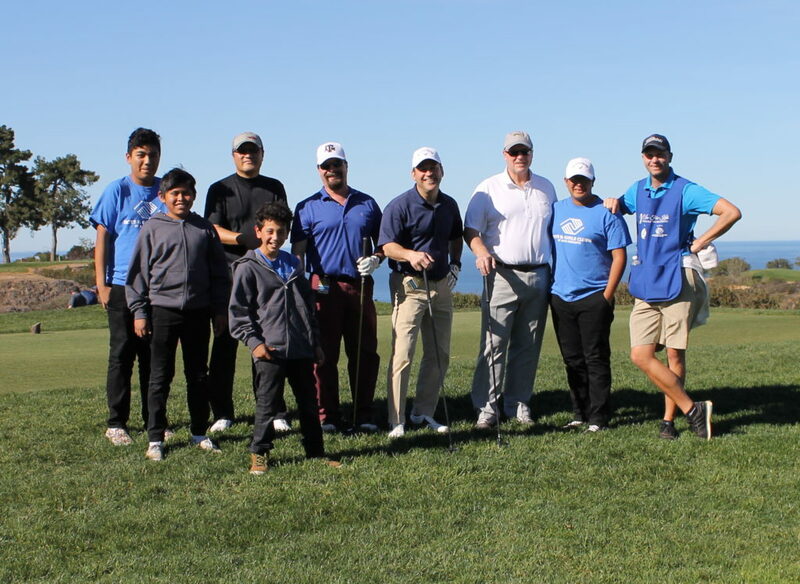 Thanks to you, our 13th Annual Chip In For Kids Charity Golf Tournament on Sunday, Jan. 28th at the Farmers Insurance Open was a huge success! Thirty-one foursomes made a remarkable showing by helping us raise over $90,000 to further our mission: providing positive after-school programs & summer activities to develop the education, health, self-esteem & character of the over 10,800 youth we serve annually. With amazing ocean views, a pristine course, gourmet tacos, and PGA tournament tie, the 80-degree weather and good vibes set the tone for a golf experience that will live in our hearts and minds as one of the best days ever! A BIG thank you to Presenting Sponsor HP represented by Ron Coughlin, Aaron Weiss & Tara Agen. Thanks also goes to Callaway Golf, Callaway Golf Apparel & The Golf Mart for the amazing backpacks, shirts, golf accessories and gift cards! Shout out to Boys & Girls Clubs of San Dieguito long time supporters & Board Members Cory Grant & Doug Regnier for taking the lead as Co-Chairs this year. Our golf tournament depends on strong, driven committee members to help recruit sponsors, participants & product. For more information on how you can help keep this tradition alive, please contact SuLynn at sdaugherty@bgcsandieguito.org. Our organization depends on donations of all types: funds, resources and time. For information on how you can further your involvement in supporting our youth, please contact our CEO Marineke Vandervort directly at 858-755-1592 to tour one of our clubs: seeing really is believing! To view golf tournament photos, our calendar of “fun” raising events & for up to date information on how you can have a direct impact on our youth & our organization visit www.bgcsandieguito.org OR www.facebook.com/bgcsandieguito. Congratulations to William J King & Associates foursome: Bill King & Dan, Ryan & Doug McQueen who came out on top shooting 125.